Atemoya Lisa is a beauty and delicious fruit too. Want to learn about how they are pollinated click the image. Most nurseries that graft trees, generally graft onto Sugar Apple or Custard Apple. 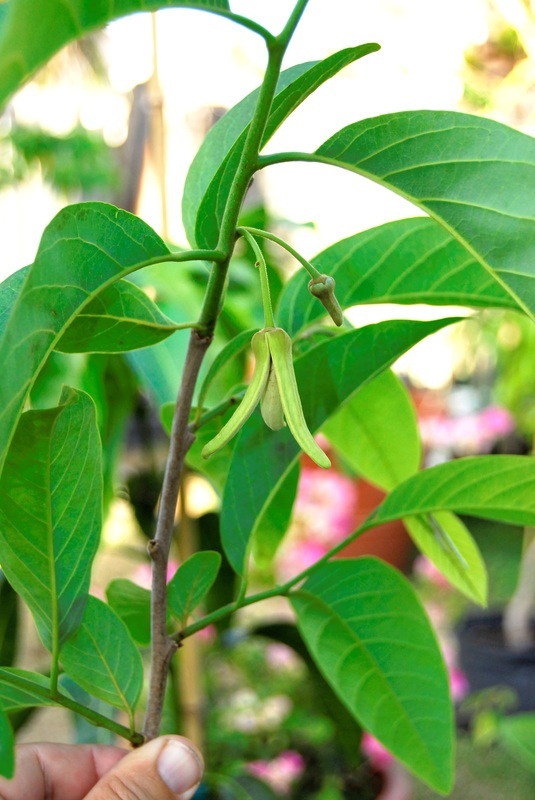 Grafting onto Cherimoya produces a superior tree that is more cold tolerant and will have a longer lifespan. 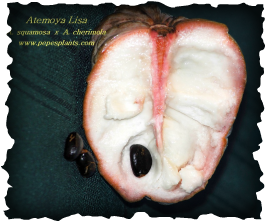 All our Atemoya trees are on Cherimoya rootstocks. Trees can produce fruit from August to January.